December 8, 2010 - As part of its ongoing review to enhance security, UPS on Tuesday announced it is expanding its policy to require customers who ship packages from retail shipping locations to present a government-issued photo ID for verification of identification. The directive will apply at The UPS Store and Mail Boxes Etc. locations as well as authorized shipping outlets worldwide. This in response to what might have been a terrorist attack on September 3, 2010, when a UPS 747-400 cargo plane, Flight 6, had departed Dubai, United Arab Emirates (UAE) about 6:53 PM local time, with a filed fight plan to Cologne, Germany. The pilot reported to air traffic control upon takeoff that there was a fire onboard the aircraft and requested to return back to the airport. The Captain declared an emergency and was instructed by controllers to land at a near by Emirati air force base in the desert. It appears that there was a fire onboard the Boeing 747 and that the fire had caused a considerable amount of smoke in the cockpit to the degree that the pilots were unable to see outside the aircraft and were unable to read their instruments on the cockpit panels. The captain attempted to land at the airbase which is about 10 miles southeast of Dubai?s International Airport on two occasions, both approaches were missed approaches. On the third attempt the aircraft crashed at about 8 PM local time. Investigators are continuing investigate to determine what caused the crash. The pilot and co-pilot were the only occupants onboard and their bodies were found dead" in the wreckage. Consumers who tender a shipment through any retail access location and do not already have a pre-printed shipping label attached will have to present a government-issued photo ID or they will not be allowed to use UPS services. 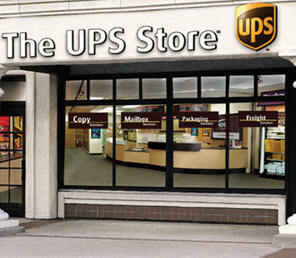 The ID policy has been in place at UPS Customer Centers since 2005. Valid forms of identification in the U.S. include a current state-issued driver's license or Department of Motor Vehicles ID card, U.S. or foreign government-issued passport, U.S. Permanent Resident card, U.S. military identification or a Native American Tribal photo identification card. Qualifying documentation may vary by country at international retail locations. "Since retail centers experience a significant increase in business from occasional shippers during the busy holidays, this enhancement adds a prudent step in our multi-layered approach to security," said Dale Hayes, UPS vice president of small business and retail marketing. "The safety and security of our customers, business partners and employees is our highest priority and UPS will continue to implement additional security precautions as necessary."